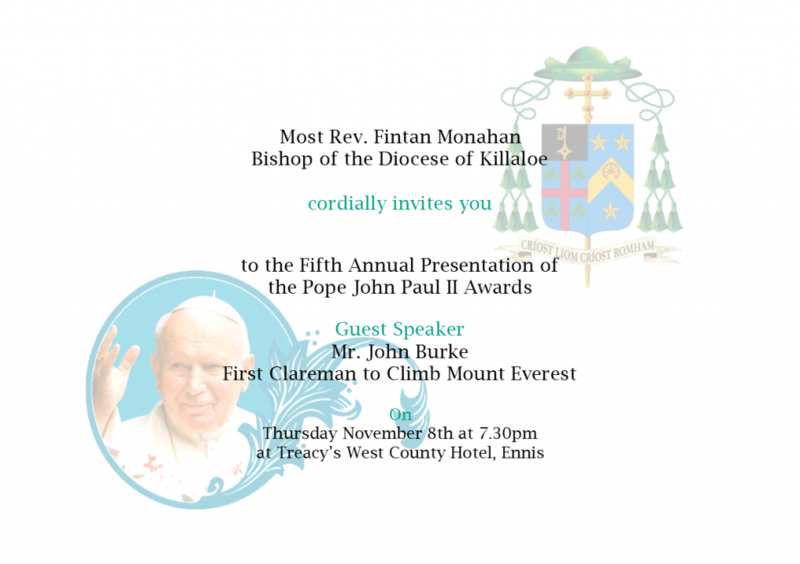 You are warmly invited to join us for the celebration of the presentation of the John Paul II award medals on Thursday, November 8th at 7.30 pm in Treacy’s West County Hotel, Ennis. Congratulations to the outstanding young people involved and all the organising committee. We look forward to hearing the inspiring words and vision of Mr. John Burke on the evening.